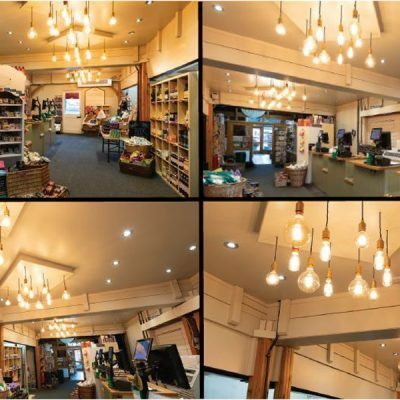 We installed LED Lights at Potts Bakers – 70 watts per unit, and replaced blocks of 4 x 65 watt Strip Lights. “The day Norcroft installed LED lights in place of our existing fluorescent tube units it transformed the Bakery. It was so bright and light, we had not realised how dark the existing lights had become. We anticipate a substantial saving of power usage, however the immediate savings we have seen are on maintenance. Before, we were forever changing tubes and starters etc. So far the LEDs have been maintenance free, and an added bonus is they are easy to clean.” Andrew Potts, Potts Bakers.